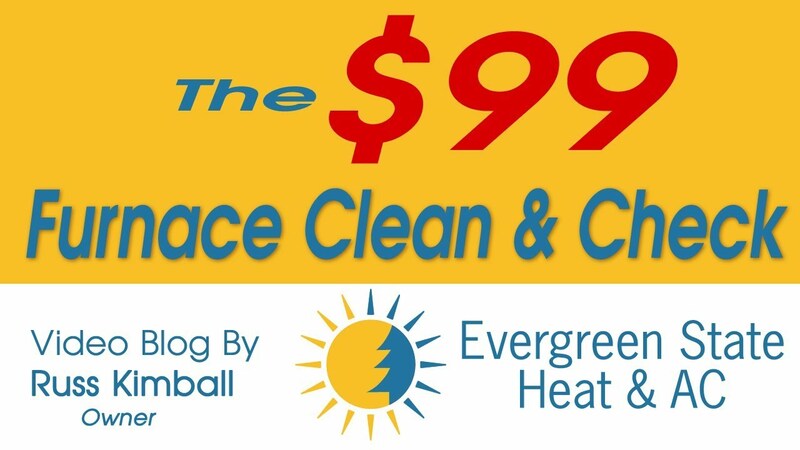 Be on the lookout for the "To Good To Be True" $99 Furnace Clean & Check. In this video Russ Kimball, owner of Evergreen State Heat & AC, goes over the truth behind these furnace deals. In our 45 plus years of experience we have done alot of work repairing and installing heaters and air conditioners. Buying A Furnace Is Like Buying A Car, Best Unit at the Lowest Price, Right?